You are here: Home / FAQs / FAQ – Who is responsible for utility payments? Check the terms of the lease. Since the Residential Tenancies Act does not specify who is responsible for utility payments, the only applicable terms are those in the lease between the landlord and the tenant. Some leases set out a fixed amount to cover utility payments or a fluctuating amount based on the bill. If the amount to cover utility payments is fixed, the tenant and landlord cannot change the terms of the lease unless they both agree to it. If you are a tenant and are responsible for paying for electricity or natural gas service, it is important to know what is in the contract with your utility provider. The contract outlines the terms and conditions of the utility service – for example, its cancellation terms, expiration date, charges and any automatic renewal clauses. You should find out what happens to the contract when you move. Make sure that you read and understand the contract before signing. If you have a dispute with your landlord or tenant about utility payments, go to our Find Help page. Some landlords are changing the way they charge tenants for natural gas and electricity. Landlords are using a new tool that measures the energy used by each rental unit. This tool is called a sub-meter. This publication includes information about sub-meters and how they may impact tenants. 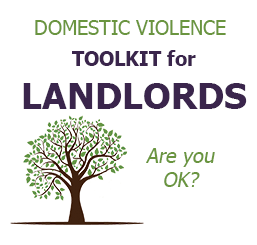 It also answers questions about tenants’ rights and responsibilities. Residential Utilities: Moving In – Tips to help tenants and landlords reduce anxiety and prevent unexpected utility expenses when moving in or out of a rental unit.